For two young mothers from London, adjusting to rural life isn't easy, so Maddy and Izzy band together to survive their new surroundings. After their budding friendship is tested by a tragic event in Maddy's life, they make a discovery that will change their lives. Among Maddy's grandmother's belongings, they find beauty-cream recipes concocted by one of her ancestors. Armed with the recipes and some stinky weeds, Maddy and Izzy soon launch a booming beauty business. But has their newfound wealth and fame come at the expense of their families? 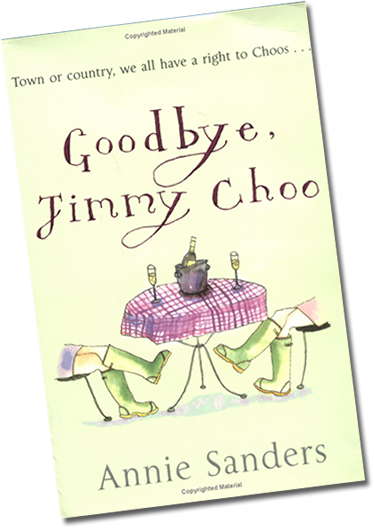 Readers will find this a refreshing departure from the single-girl-in-the-city brand of chick lit, which is just what Brits Annie Ashworth and Meg Sanders, the two friends who cowrote this novel under one pseudonym, hoped to achieve by creating married mom characters like themselves. And, indeed, this is a charming novel about the power of friendship and the importance of family.